John Lanning has requested that all of you receive this information regarding the Saginaw 4spd gearbox to C5 Differential adapter. My trip out to visit a few of you has been great and has provided a lot of insight as to what might be done in moving forward in this project. I would like to thank Keith Waters and Tony Martin for all of their input in getting these components mated. Many of us have our own ideas as to how to proceed and I believe that no one person has all the answers. Camaraderie and discussion usually brings forward new ideas that are extremely useful. Here is my take on the adapter: Make it strong and simple to manufacture, try not to over design or reinvent. 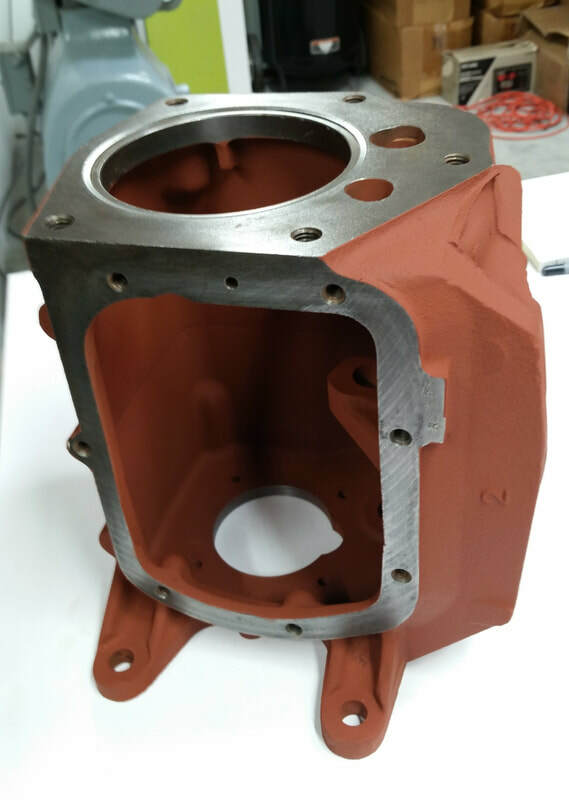 The first step in building the adapter components was to fabricate the Saginaw Tailshaft bearing housing. You cannot miss getting it right by doing it this way, but seems like a lot of work. The internal snap ring locates the bearing on the hub, the external snap ring locates the hub on the transmission case. When the 1" aluminum differential adapter plate is machined it will have a cutout bore to locate the hub insuring concentricity between the transmission mainshaft and pinion gear. It also will have a .003" compression fit against the hub to add pressure to the snap ring keeping the hub from spinning. Now some may say that the hub should be pinned to stop any possible spinning of the hub, but keep this in mind. 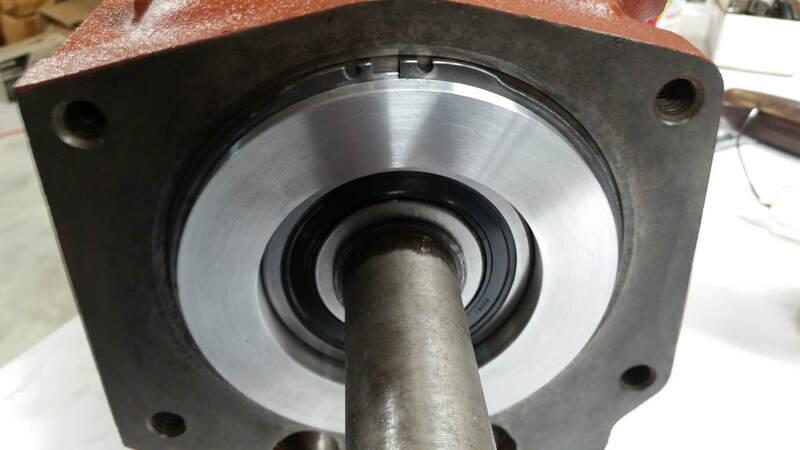 There is no press fit on the tailshaft bearing so the first place the bearing would spin would be in the bearing bore. This was a design decision made by GM and I know of no tailshaft housings being destroyed by bearings spinning in the bore. 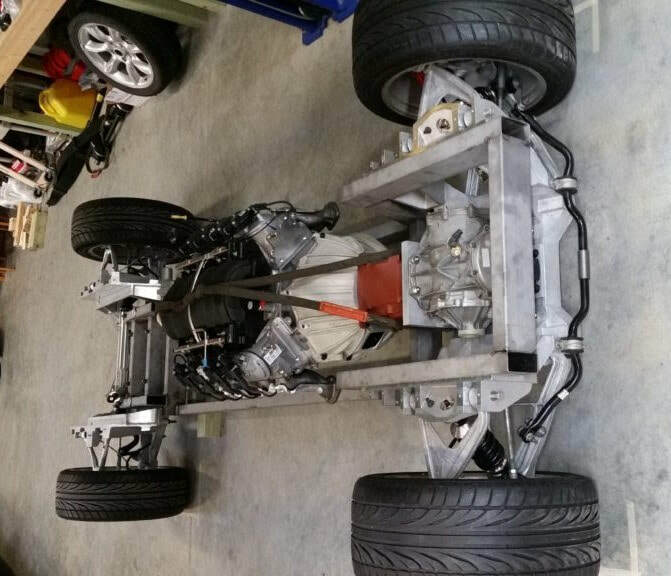 Here are a few photos of the hub and transmission case. I want to add that for some reason not known to me, the back end of the Saginaw case has been machined by GM for a snap ring. There is no snap ring used in the assembly of the case to the tailshaft in the GM Saginaw. If anyone can answer this question, please advise. I decided to take advantage of this machined area. Photo 1: This photo shows the machined area of the transmission case by GM for an external snap ring. 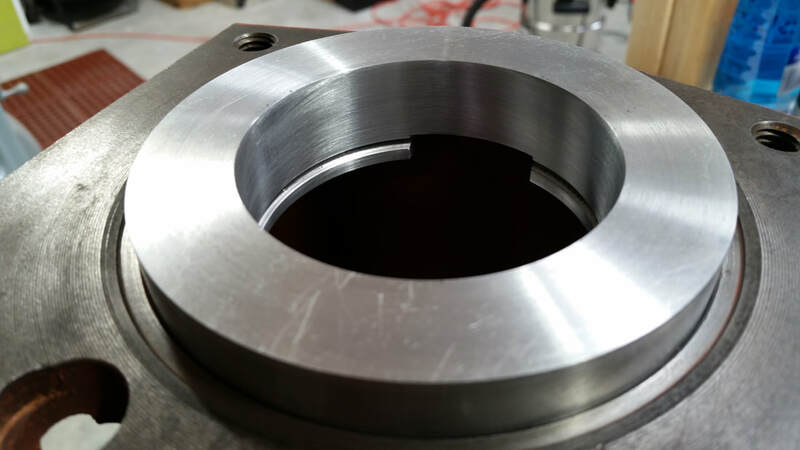 Photo 2: This photo shows the bearing housing with the internal snap ring groove for the bearing. Photo 3: This photo shows the bearing hub in place with external snap ring and sealed bearing to keep the oil from migrating between the differential and transmission. Sealed Bearing #: 6306 2RSNRJEM. External snap ring: McMaster Carr # 97633A516 * This snap ring must be ground to a maximum width of .235"